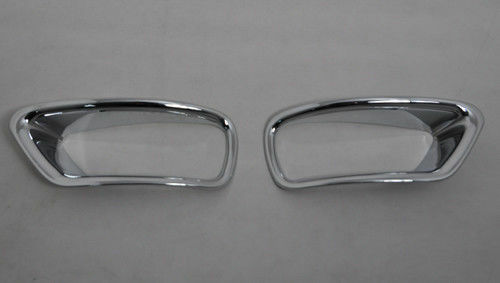 -- Fits Dodge Journey JCUV 2013 2014 Chrome Rear Fog Light Bezel Covers-Chrome, Black-Out and Everything Else! Don't settle for factory standard customize your ride. Show off your rear foglight with chrome covers that frame and highlight the lights on the road. -- Our covers are constructed with tough ABS that is coated with chrome and customized to work with the specific lights for your vehicle's make and model. -- Imagine how a narrow strip of chrome across a fog light will give it a racier, more stylized look that attracts more attention from the vehicles around you, adding an additional safety edge.